A barcode is a body of data encoded by either varying spacing and width of parallel lines (known as 1D barcodes) or by geometric patterns such as dots, hexagons, and rectangles (known as 2D barcodes). The data that can be held range from a few characters for 1D barcodes to several thousand characters to 2D barcodes, making it very effective and powerful for?barcode printer?applications. How does a barcode printer work? The TX200 Series of thermal transfer desktop barcode printers supports more printing applications than any other printer in its class. With three models available, the four inch wide TX200 Series can address everything from higher volume 4?6 shipping labels, higher resolution product marking and graphic solutions, to high resolution labels used in electronics marking applications.? First, the user will need to create the label format and content, using software designed for barcode printer purposes. One would first select the type of barcode format that is most optimal for their needs, then enter the information to be represented by the barcode. Together, this output will then feed into a barcode label printer, which prints the corresponding input. 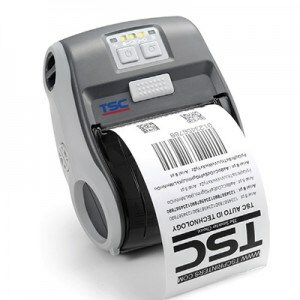 These label printers can typically support multiple types of barcodes, depending on the users? barcode printer needs. How do I connect a computer to the barcode printer? Setting up a barcode printer has gotten more and more user-friendly with the increased interface options between a user?s computer and the barcode printer. Connectivity options now cover both wired selections, including USB, Ethernet, serial, as well as wireless options (including Wi-Fi and Bluetooth). What are the advantages of using a thermal barcode printer for barcode printer applications? There is a much wider array of labels that a user can choose from to fit their specific printing needs. 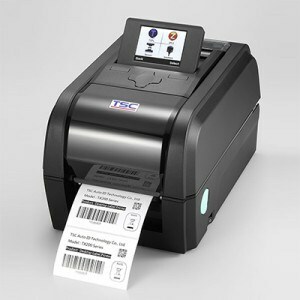 Furthermore, thermal barcode printers can be outfitted with automatic cutters to customize the desired length of the labels. When using conventional printers for barcode printer, the adhesives of the labels is apt to seep out and thus causing paper jams. Additionally, for high-speed barcode printer applications, inkjet printers are hard-coped to produce labels at the rate required.